VMware‘s vCenter server provides a centralized platform for managing your virtual infrastructure. The vCenter Server Appliance (vCSA) is a preconfigured Linux-based virtual machine that is optimized for running vCenter Server and associated services. Note that this version does not support Microsoft SQL server and IBM DB2. vCSA has some limitations, so it is not prefered in production environments. There is an interesting article summarizing these VMware vCenter Server Appliance 5.1 (vCSA) Limitations. 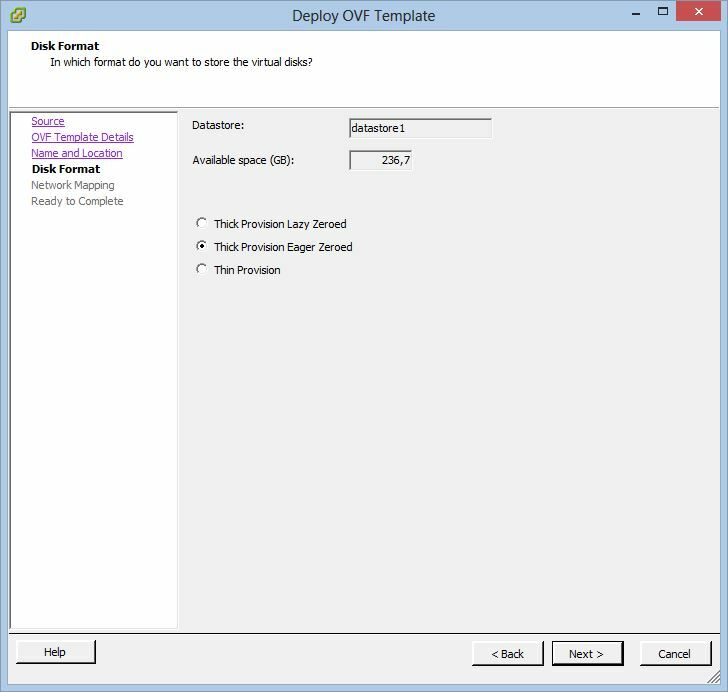 Goto myVMware Downloads page and press the button “View Download” at VMware vCenter Server record. 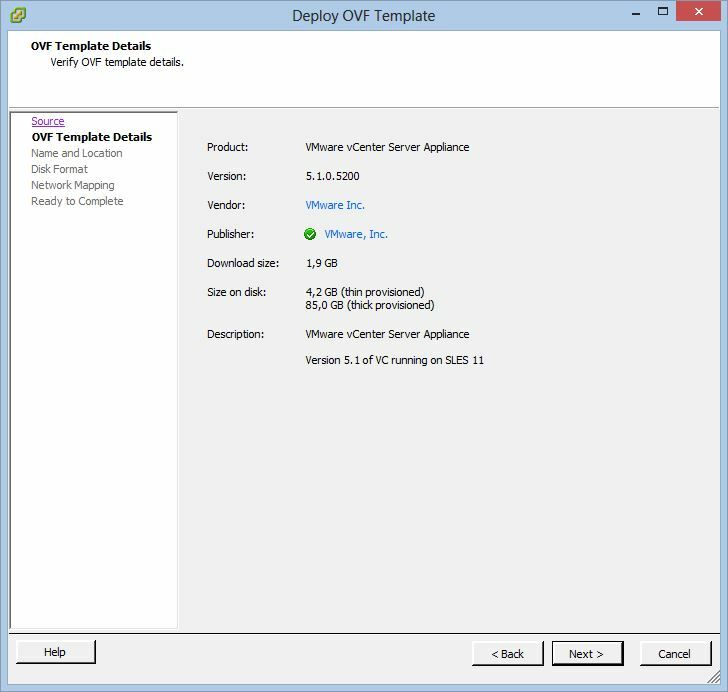 Then press the “Download Manager” button at the VMware-vCenter-Server-Appliance line with File type OVA. An OVA (open virtual appliance or application) is merely a single file distribution of the OVF and VMDK files stored in the TAR format. You can see the manifest file and the certificate files as well. And download the appliance file. 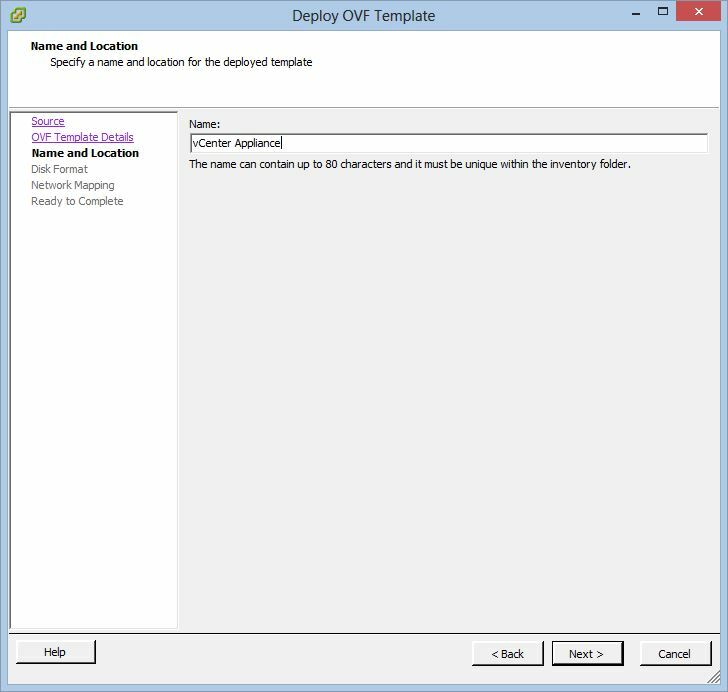 Then open the vCenter client and connect to your hypervisor. 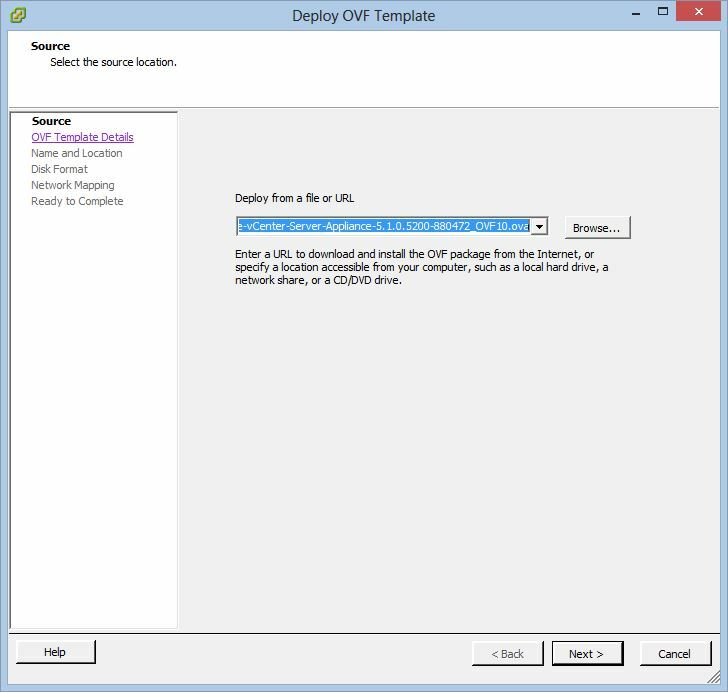 Select “Deploy OVF Template” from the main menu, to start the import wizard. Browse the downloaded ova file and press Next. 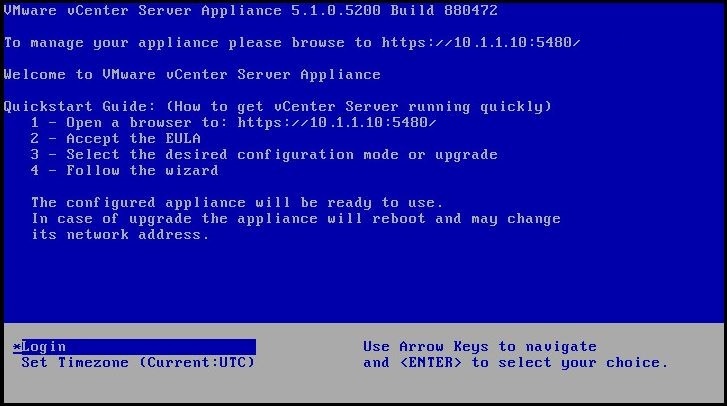 Enter the name for the Appliance, for example “vCenter Appliance”. 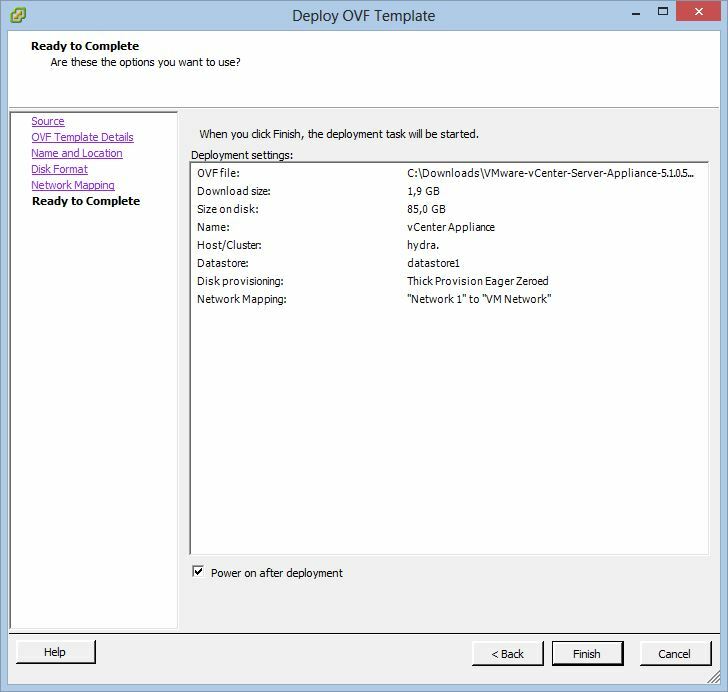 Check the Power on after deployment checkbox and press Finish. It will take some time to deploy the vCenter Appliance. 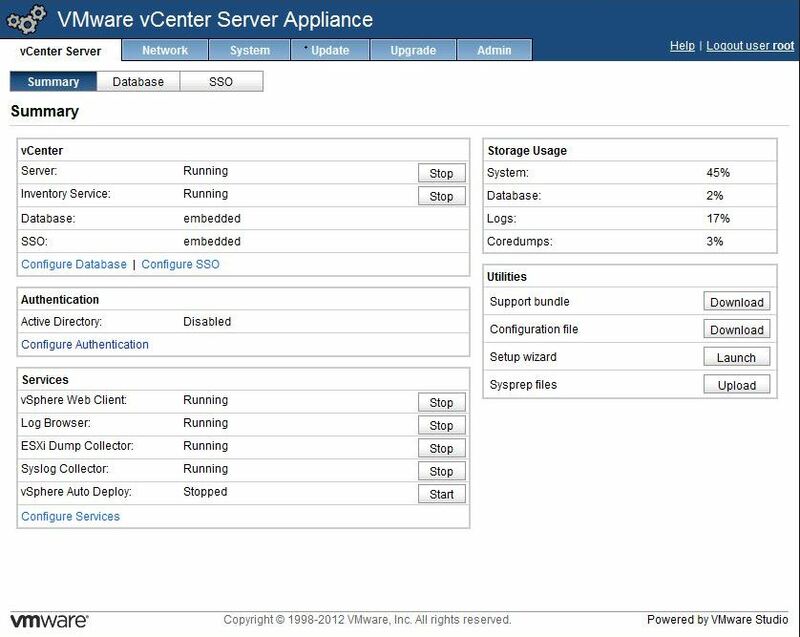 Finally the vCenter Appliance will appear on vSphere client. 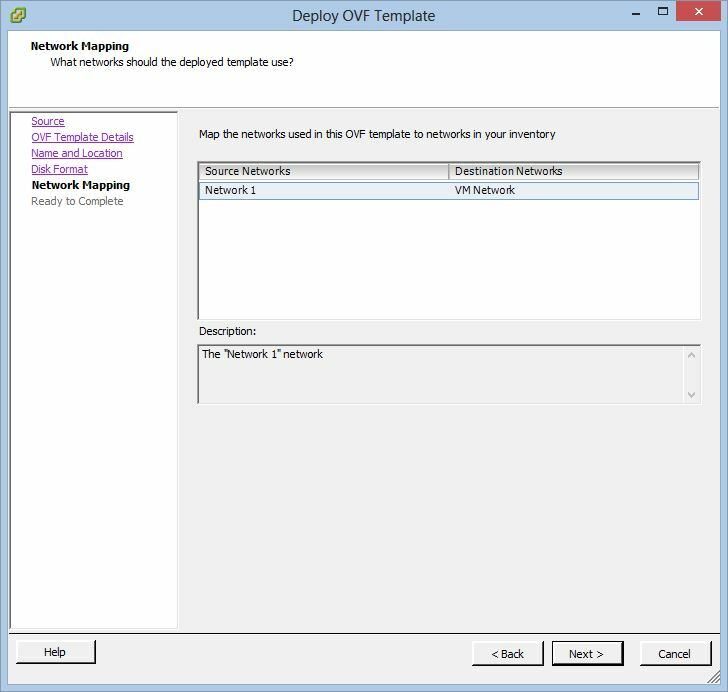 It will power on and get an ip from your DHCP server. The default login credentials are username root and password vmware. Finally configure the appliance pressing the setup wizard button!